Credobaptism. It is a wishy washy, non-convincing book even by Particular Baptist standards. Founders Press, Cape Coral, FL , 2003. This paper is not an exegetical attempt at Paedo-Baptism. This paper simply serves as a huge question mark on the new book put out by Fred Malone on believer’s baptism. Some important questions are raised and some exegesis must be offered. But it is more an inquiry into the “why” of the book, rather than a thorough exegetical attack against it. This writer awaited eagerly the book, “The Baptism of Disciples Alone” by Fred Malone, to read the best defense of Credo-baptism to date. Founders Press, the faction of the Southern Baptist movement that desires to return to its roots believing the doctrines of grace, has a stalwart champion writing against Paedo-Baptism. Malone had already written “A String of Pearls Unstrung” and this book is a development of those ideas. This writer wishes he had never done such a thing, for the same errors in his booklet are expanded and purported in the name of “covenantal” theology in this new book as well. Upon receiving this work, I immediately went to the bibliography (not the table of contents) to check Malone’s sources. Bibliographies tell us the mind of the author quite quickly. I found the bibliography lacking. This is going to be a “covenantal” book helping the Christian church understand the covenant sign of baptism. I would figure his “extensive” bibliography would include the best covenantal works to date. I was sorely disappointed. He did not have any of Owen’s works except from volume 6 of the Epistle to the Hebrews, which is a tragedy. Owen takes great care in explaining Covenant Theology in his Works. Malone does not include “The Economy of the Covenants Between God and Man” by Herman Witsius, which is simply the best book on Covenant Theology ever written to date. He does, though, mention Witsius in passing (page 177) but it is simply “in passing.” He alludes to another writer who depends on Witsius, but does not interact with Witsius on any point of covenantal theology at all. This is suspect; but there are reasons for his avoidance of Witsius and other covenantal theologians to this point, as we will see. Calvin is mentioned for his commentary on Acts and his Institutes, but is quoted infrequently (and does not helpfully cite his Institutes for baptism), and the other reformers, Luther, Zwingli, Oecolampadius etc. are not mentioned at all. Ursinus is mentioned, but Malone simply passes him over in the same statement with Witsius. Turretin is not mentioned at all. Hodge, Edwards, the English Puritans (except for Owen) and the Dutch Theologians are not listed either. Jeremias is mentioned, but his rebuttal to Aland’s work that was a rebuttal to his own, is not mentioned. Jeremias tears apart Aland’s “critique” of his earlier work in “The Origins of Infant Baptism: A Further Study in Reply to Kurt Aland,” but it seems some of the questions that Jeremias “leaves” Malone with in this book are answered in his rebuttal against Aland. Malone missed this? This is also suspect. He does not mention many of the helpful theological papers that have been written in and around this subject in journals like the Westminster Journal, or Journal of the Evangelical Theological Society, or from professors with position papers based on key texts, like Richard Pratt’s position paper on Jeremiah 31 (which is helpful). He also talks quite a bit about the Regulative Principle, but quotes almost no works, except the Confessions, that deal with it. With so much weight riding on that argument as a main principle, one would think there would be more cited and more explained historically. However, if he had done that, the arguments against his ideas surround the Regulative Principle would be overthrown. Instead, Malone seems to have carefully chosen the authors and works he will interact with. This argues that this work is not a scholarly work, though I am unsure if Malone’s intention was to make it a scholarly work. Let us assume that he did not intend this, and he will have succeeded. After the bibliography, one also notices, second, the dust jacket. The dust jacket says quite a bit before one even enters the debate arena with Malone. On the back Dr. Albert Mohler says, “Fred Malone has written one of the most important books on baptism to appear in at least two hundred years…” After reading the book, it is apparent to me that Dr. Mohler is not reading many good books on baptism if Malone’s book is the best he has read – the best in two hundred years. Even Jewett’s book, “Infant Baptism” is a far better argument than this present work by Malone (and Jewett’s work categorically misses the entire arguments surrounding Covenantal Theology as they were historically formulated.) At least Malone makes an effort to address some of those issues. In any case, Malone himself pleads with his readers, more than once, that he is relying on information that helps his “position” written by T.E. Watson and David Kingdon. Dr. Timothy George and Walter Chantry both hail Malone as well having presented “the best case I have seen for believer’s baptism from a covenantal perspective” and making Malone “a new champion of the cause of truth.” I think Mohler, George and Chantry are simply being respectfully cordial because if they truly think that Malone’s work is the “best in two hundred years” then their own “covenantal” theology becomes dubious at best. Before I comment on the title, I need to move through the Foreword written by Ernest Reisinger. I really have only two comments to make about the “Foreword.” Reisinger is on Malone’s side as a Baptist. This would be expected. But his conceptions of Covenant Theology and that which constitutes a “Reformed” Theologian, are lacking. He says, “Fred, like many other young men, thought that in order to be a consistent Reformed minister, he had to be a Paedo-Baptist.” This is true, though Reisinger believes it to be false. I will demonstrate this later. Reisinger also says, “At this point I hear some Paedo-Baptists saying, “What about the covenant,” a Baptist must surrender or run; this book will prove otherwise.” This book did not prove otherwise. Instead, it reformulated and redefined “covenantal concepts” with meager exegetical work and a host of hermeneutical fallacies. This though, will be shown later as well. The book is entitled “The Baptism of Disciples Alone: A Covenantal Argument for Credobaptism versus Paedo-Baptism.” In the “Preface” there are a number of problematic statements and assumptions. First, Malone says they should “evangelize their children.” That is good Baptistic language. For him to pray with his children, or teach his children to pray, would be a violation of this language because he would be adopting Old Testament covenant concepts about raising up his children in a certain light. It is good that Malone is consistent at least for now. Second, Malone asks this question, “Is “repent and be baptized” a command that parents should obey for their children, or is it a command for their children to obey for themselves (Acts 2:38-41.” This is a straw man. Malone will continue to ask questions like this of the text that no Paedo-Baptist asserts in order to crush them as he goes along. We will deal with the meaning behind this later when Malone treats it. Third, he says, “Must they [parents] rely on “expert” theologians to explain their biblical duty toward their children for what they cannot see in Scripture for themselves?” Maybe another question should be “What are there pastors and theologians in the body of Christ?” “Why do they preach?” “Why do they teach?” “Why do they exist?” Certainly it is to help people understand the whole counsel of God. If parents were as studious as theologians, then they would not need them. Pleading this point at all is nonsense. The members of Baptistic churches I have attended have simply “gone with the flow” – they do not know why they believe what they do. Usually they say, “I believe what the pastor tells me to believe.” This is wrong, no doubt, and this is in every denomination. But Malone is setting up another straw man here. Then he says he sees two basic reasons why Infant Baptism is wrong: “1) the regulative principle and 2) biblical hermeneutics.” Malone asks if Infant Baptism is clear in Scripture. The question he should be asking first is whether there is a direct command to baptize disciples alone, something the New Testament does not mention once. There is no command that says, “Baptize a man or woman after a profession of faith, and immerse them.” This is just nowhere in the Bible. But this is not all Malone asks. His whole question goes like this, “is infant Baptism as clear in Scripture as other issues, like repentance before baptism (John 4:1-2; Acts 2:38-41), or self-examination before the Lord’s Supper (Acts 2:41-42; 1 Corinthians 11:27-29), or a woman’s participation in the Lord’s Supper (Exodus 12:1-4, 16; 1 Corinthians 11:18-22), or men only as elders (1 Timothy 2:12; 3:1-7), etc?” This may be one of the biggest exegetical blunders in his whole book. With repentance supposedly before baptism, he cites John 4:1-2. This is clearly John’s baptism, and Malone is assuming, and will later, in a futile attempt, prove that John’s baptism is the same as Christian baptism. This is a denial of the history of Israel’s use of baptism. He also cites Acts 2:38-41. Clearly, his exegetical work on this passage is horrid. It will be demonstrated later how poor his work is on this scripture and how this applies. His note on self-examination of the Lord’s Supper is not contested by anyone and is clear. However, a “woman’s participation” of the Lord’s Supper is not clear at all. As a matter of fact, Baptists have no positive command anywhere in the Bible for them to partake. He cites Exodus 12:1-4, 16. Exodus? For the Lord’s Supper? The passage refers explicitly to “every man” and nowhere to “woman,” or “women.” This idea of the women can be extrapolated to mean “human being” or “every person,” but Malone cited this as a clear text for the Lord’s Supper. This is the Passover, not the Lord’s Supper. This is the kind of exegetical work he uses throughout the book. This is his New Testament, regulative principle for women partaking? Next, Malone says that the Regulative Principle undermines Infant Baptism. He says, “The Regulative Principle teaches that the elements of New Testament worship and church order should be regulated by Scripture and clearly instituted for New Covenant worship.” This is not what the Regulative Principle teaches, but what Malone wants the Regulative Principle to teach. To infer that all positive injunctions in the New Testament are the only source of authority to regulate worship is absurd. Jeremiah Burroughs, in 14 sermons on Leviticus 10:3, demonstrates quite adequately that the Old Testament is deeply rooted in how the Regulative Principle is used and applied. Malone, in order to hold to his belief structure, must reinterpret the Regulative Principle to cater simply to New Testament worship and by New Testament instruction to hold his views. Malone then asks this question, “Because Infant Baptism is considered a biblical sacrament, one of the official elements of worship, shouldn’t it, too, be “instituted” by Christ according to the same principle as the Lord’ Supper? Yet, it is not so prescribed.” Unfortunately Malone is cutting off his own foot here. Where is Credobaptism prescribed in the New Testament? Where does Jesus or the apostles say, “Baptism is to be administered in this way…” and then follow certain instructions for this? Malone misses this crucial point? Does he simply not understand that Credobaptism is an argument in induction from silence? Does he miss the importance of the reality that it is nowhere prescribed by formal declaration, and that his entire book revolves around an inductive argument based on a compilation of Scriptures to support a given idea? I do not think he does! If he had, he would have never written the book, and would not be so displeased with historical Covenant Theology. Malone also does not like to “resort” to the Old Testament for prescriptions in worship. That is due to his Dispensationalism. He divides, quite dramatically, “Christian worship” from Old Testament worship. This is based on his preconceived ideas concerning “covenant” and its great diversity seen through various ages. So, without being hindered by external forms of Old Testament worship, Malone says, “The only instituted baptism in the New Testament by Christ and his apostles is Credobaptism: the baptism of disciples alone.” Again, Malone cites no verse say, exactly, where Christ, or His Apostles, positively and explicitly states this. His argumentation, then, at the start, is faulty concerning the Regulative Principle. Not only does Malone misrepresent the Regulative Principle according to his own likening, as we will further see, but he also harps on the Presbyterian’s poor exegetical work and failure to hermeneutically deal with a passage fairly. He says, “Baptists and Presbyterians agree with a basic Augustinian prin­ciple of biblical interpretation that “the New is in the Old con­cealed; and the Old is in the New revealed.”” At this point, he is correct that Presbyterians agree with this, but Baptists do not. Listen to what he says next. “This places an emphasis upon the New Testament revelation as the final deter­miner of instituted and regulated Christian worship versus Old Testament worship and forms continued by inference alone (Ephesians 2:20; 3:5). This principle, consistently applied, also argues against any notion of infant baptism grounded upon a supposed and possibly erroneous “good and necessary inference,” which may be neither “good” nor “necessary.” This is not Augustine talking, this is the Baptist Fred Malone inciting smoke and mirrors. He does not believe what Augustine said. Instead he redefines how hermeneutics should work based on his theology. Augustine would vehemently disagree with him. Wait – Augustine did vehemently disagree with him. Augustine taught Infant Baptism. Did Malone forget this? Malone does not cite Augustine on this any further. How can he? The citation given by Malone is correct – but Malone does not believe it. Malone then tackles John Murray and the ideas surrounding good and necessary inference. Malone’s presuppositions will not allow him to use “good and necessary inference” in a consistent manner, but only when it suits him (like women partaking of the Lord’s supper, but not Infant Baptism). He questions whether it is a safe hermeneutic at all. The New Testament regulates New Testament worship for Malone. He quotes the Westminster Confession of Faith in this way trying to prove his point – “The elements of Christian worship must be clearly, “instituted by God himself,…limited by his own revealed will, and…prescribed in holy Scripture” (WCF 21:5; 21:1; 1:6).” This is not what Malone believes. He is thinking about it this way, “The elements of Christian worship, i.e. New Testament worship, must be clearly, “instituted by God himself, [in the New Testament]…limited by his own revealed will, [in the New Testament] and…prescribed in Holy Scripture in the New Testament.” This is Malone’s point. Otherwise, he knows he has given up his case the moment we are able to resort to the Old Testament concerning New Testament worship. This, again, demonstrates his Dispensationalism. Why did Malone title the book, “The Baptism of Disciples alone?” This is what he says – “I have chosen the designation “the baptism of disciples alone” to describe the only instituted and regulated baptism “expressly get down in Scripture.” It is no more an unbiblical description of baptism in the Bible than are other principles of reformation theology: Scripture alone, grace alone, faith alone, Christ alone, and God’s glory alone. That which is “expressly set down in Scripture” concerning an instituted, regulated sacrament is sufficient to earn the designation “alone.”” This is humorous. I say that tongue in cheek. First, Malone claims that Credobaptism is “expressly…instituted” in the New Testament. Where? Why does he make this assertion when he knows that baptistic theology is grounded on gathering data from historical examples in the New Testament? We already covered the fallacy of that. He will harp on Matthew 28 as the Great Commission, but exegetical work on that area will discredit the only “inductive” aspect of his argument that he thinks is one of the strongest. Second, Malone must be completely ignorant of history here. Does he really think that the Reformers would have agreed with him in adding “disciples alone” to the solas? He must have forgotten what they said on the subject, and, of course, he conveniently left their opinion out of his work altogether on this issue. Historically Malone would be seen as a rebellious dissenter in Geneva who would have been imprisoned or exiled unless he recanted of his position. To add the Anabaptist controversy into the Reformation and assign it the same status as the concrete Solas is ludicrous, and historically inaccurate at best. Who is he trying to convince here? Baptists continually attempt to align themselves with the systematic theology of the Reformation, when, in fact, they are the dissenters of the Reformation and church splitters of that time. Why was the 1689 Baptist Confession written? Was it because they agreed with the Westminster Confession of Faith or because they dissented from it? Why were the Anabaptists rebelling against Calvin, Farel and Courault? They did not like their ecclesiology and they did not like their Sacramentology. The 1689 Baptist Confession was written as a defense against the heretical notions of Anabaptism and against the Covenant Theology of the Westminster Confession of Faith. Baptists still believe that they can be Covenant Theologians while remaining Baptistic, which is impossible. Baptists will of course deny this, but history is no fool. Malone believes Baptists can be Reformed. History does not say so, and neither do the Reformers. Even the theologians of the day write against such ideas. But Malone wonders “where Reformed Baptists” of conscience will worship in later days. “Reformed Baptist?” This is a contradiction in theology, and something the Reformers themselves would never have agreed upon. For an overview on this topic read my article, What does it mean to be Reformed – Really? Malone continues to use the phrase “Reformed Baptist” but the points above, and the link to the article should dissuade anyone from using the term unless they are really Reformed. We move from the Preface to the Introduction. In a footnote on page xxv, Malone says, “I am not accusing any of blindly following. However, even a sincere conscience in deciding for infant baptism may be strongly affected by the overwhelming testimony of such good men.” This is important. He mentioned RC Sproul and the number of people who have traveled from being Baptist to being Paedo-Baptist. This disturbs him because he believes he is right and the Baptistic community continues to move into the Paedo-Baptist community, even if they are unaware of what they believe because “good men” are in that camp. I agree with Malone that no one should ever go to any church unless they understand what they believe and why the believe it. They should be following the dictates of Scripture based on private interpretation, but also based on the consensus of the orthodox church. That is why the argument of “good men” is so compelling. Most of the orthodox church through the history of the church have been Paedo-Baptist. This should cause Baptists, at that point alone, to be alarmed. Most of history demonstrates that theologians, pastors and teachers have been Paedo-Baptist. It would be fruitless to deny this (as some “Reformed” Baptists attempt) and far too much work to name every one of these men through history who have believed it. “Who believed that infants were included in the covenant?” This is the real question. Shall we begin with Adam and Eve and work our way through the Bible, into the New Testament and then to the early fathers, the Reformers, the Puritans , the Princeton Theologians, etc? Of course this is an overwhelming argument! Of course people are going to follow the great minds – the gifts of Christ – to his church. Are we really to suppose, as Malone would like us to believe, that until the late 1600’s the church had wrongly abused and misused the Sacrament, and then until the Baptists came along the church had been providentially in the dark? Would he have us believe that today, even now, though the majority believes in including infants in the covenant, that the Baptistic change is warranted? Have the greatest minds in the history of the church been wrong for so long? Is God that providentially lazy? One Baptist friend of mine answers that question this way: they were just too smart for themselves and missed it. I’m doubting that God is that lazy or providentially hindered to instruct His church right for over 17 centuries. Now this argument around the church and checking our doctrine is not a weak one (but quite the opposite) since interpretation issues revolve around both private interpretation, and the church. I am not purporting “papal decrees” ex cathedra, but I am saying that private interpretation is affirmed by the church – otherwise no one, at any time, in any historical setting, would know he is right. Even Luther said to the Diet, “If you can convince me by Scripture…” Luther did not bow to Theological Traditionalism as supreme, but he did believe the church’s authority in matters of doctrine was important. The perspicuity of the Word is plain in matters of salvation, and everyone who reads them, as the Holy Spirit enlightens them, may understand them clearly. No one that I know disputes this. But to be sure they have correctly interpreted the passage is due to ecclesiastical consensus based on Scripture. To deny this is to be unsure of your doctrine in every way. There is an important sense in which private interpretation is commanded, and another in which it is dangerous. Ultimately we have the promise of Sola Scriptura to lean on (1 John 5:13) and we have the brethren to guide us (Heb. 13:3, 7-9). The question is akin to the chicken and the egg in much the same way. Yet here, we begin with the clarity of the Bible and move into the guidance and confidence of our brethren. Deviation, then, ultimately from historical orthodoxy on any point, is a VERY dangerous place to be. It claims the church has subsequently been without this “bit” of information for a long time until it was “discovered” by someone who thought it fit well into a new theological scheme, or became a new theological scheme in and of itself (like the Anabaptists of the day in the Reformation who denied the Trinity and the deity of the Son but embraced believer’s baptism). Malone also has a problem with the PCA’s Book of church Order when it says, “By virtue of being born of believing parents, children are, because of God’s covenant ordinance, made members of the Church, but this is not sufficient to make them continue to be members of the Church. When they have reached the age of discretion, they become subject to obligations of the covenant: faith, repentance, and obedience. They then must make public confession of their faith in Christ, or become covenant breakers, and subject to the discipline of the Church [emphasis his].” He asks when this age should be. He “wonders” when this judgment should be made. Six? Ten? Sixteen? Well, that is point – ministers should be discretionary (not the children) about when those children come to the point when they understand the Gospel. That could be any age. This is hopefully what any Baptist father or mother would do with their own children. What is Malone griping about here? He contends that Presbyterian members probably do not know the BCO. Yes, this is as true as the Baptist church that does not know the 1689 Baptist Confession of Faith. He then says, “The proper administration of the sacraments was at the heart of the Reformation and is one of the marks of a true church.” Malone is absolutely right, and by his admission, this disqualifies every Baptist church as a “true church.” Baptist “individualistic” ideas rose up against the Reformation, and started new churches based on both Ecclesiology and Sacramentology. Malone, again, is cutting off his nose to spite his face. This is a historical argument against the Baptist dissention, not for it. Will Malone stand up and say, candidly, that the church, since the time of the apostles (according to him) has never been a true church because they all have included infants in the covenant? Malone then, in a footnote, says this, “This is not to say that there cannot be a true church where a sincere error in baptism exists, but we all must agree that this is not a minor issue.” This is a contradiction to his statements previously, though I think he is padding his answer because he will not say that the Paedo-Baptist church is not a true church. But, in a short three-page chapter devoted to encouraging people about their Baptist beliefs, he tells them to pull up their bootstraps and build Baptist churches. Malone then lists 15 points on the “Baptistic” ideas surrounding a “covenantal” Baptist position. I think his wording is good. He does not say, “Here is what Baptists who are Covenant Theologians believe…” Rather, I think he is keenly aware that Baptists are not Covenant Theologians, and do not believe in Covenant Theology. He does not make this assertion anywhere in his book that I was aware of. He does, though, press that Baptists are “covenantal” and think they are “Reformed.” In points 1-3 he seems to follow a good path of reasoning and ideas covenantally. 1) He mentions the Covenant of Redemption. That is a good start. 2) The Covenant of Grace is the outworking of the Covenant of Redemption in time. Good so far. There are two distinct covenants. 3) He mentions Adam and the Covenant of Works in the Garden and quotes (unreasonably according to his own exegetical demands later on) Ecclesiastes 7:29 and Hosea 6:7 (Malone will push for each covenant in its own context describing itself. Even the Antinomian New Covenant Theologians should take him to task on this issue since he is not allowing Genesis 2 to speak for itself but needs other Scriptures to help him here. This will break his hermeneutical rules later on.) It is when he hits number four that things go haywire. He says this in point four: “That God did reveal historically the “promise of grace” in Genesis 3:15, commonly called the Covenant of Grace, successively revealing its future fulfillment in Jesus Christ’s New Covenant through the historical “covenants of promise” (Ephesians 2:12). Thus, salvation by grace through faith in the coming “seed of the woman” as covenant Head was revealed and offered from the fall of man throughout the Old Testament “covenants of promise.” Here is where Malone departs from Reformed Theology and Covenant Theology. The continuity of the Covenant of Grace is one covenant from the beginning to the end of its appointment – from Genesis 3:15 to the consummation of the ages upon Christ’s return. But Malone also has “other” covenants of “promise” running through time as well. He does not equate the Abrahamic Covenant with the Covenant of Grace and says, and will say, they are not the same. The New Covenant is just that – New. He then says in point five, “That the New Covenant of Jesus Christ is the prophesied fulfillment of what has been called the historical Covenant of Grace, revealed in the “covenants of promise” since the fall, and is the fullest and final historical manifestation of that eternal Covenant of Redemption to save God’s elect (2 Timothy 1:8-10).” Again, as dispensationalists are prone to do, he divides the “covenants of promise” as he says” with the New Covenant. These are not the same. How do we know? Malone takes us through point six, “That the New Covenant is an effectual covenant of real­ized blessings, not like the Sinai Covenant which it abro­gates (Galatians 3:19), with an effectual Mediator as its covenant Head, writing the law on every member’s heart as individuals (Jeremiah 31:27-34; 32:40), giving them the true knowledge of God, and forgiving their sins (Hebrews 8:8-12; 10:15-17).” He compares the New Covenant with the Mosaic Covenant, which is right, but fails to interpret the New Covenant properly. Actually, his exegetical work on this passage is nowhere to be seen. He claims that he has done work on it for a doctoral dissertation. But such a pivotal point of departures from Reformed Theology and Covenant Theology ought to press him to demonstrate, exegetically, why the New Covenant carries the character it does in the way Malone believes. Unfortunately, we are not privy to his notations and simply must “trust him” on this issue. Later, though, I will briefly show that his ideas are faulty concerning the nature of the New Covenant. An interesting problem occurs theologically for him, that he is not aware of in point seven. He says, “and the fulfillment of the promises to Abraham (Galatians 3:14; 6:15-16, Romans 2:28-29, 4:16)” is Jesus Christ. If this is true, then how is it as “new” as Malone says it is in point six? Hopefully he will explain later. Point eight says that only heart-regenerate disciples should be baptized. Point 9 says that John 4:1 teaches that disciples are first made then baptized. This for him makes things, “airtight” as to the manner of making disciples. He presses the idea that it is only the cognitive adult that is able to do this, so again, based on inductive reasons (which is always fallacious) he assumes no children or families were baptized by John. People came out from all over Judea to be baptized. In thinking about the role of John the Baptist as the covenant attorney for God bringing forth a chance for Israel to repent, would only the parent go, or would the family be baptized by John as the father, the covenant head, repents of his waywardness in light of the Messiah’s coming? Are we to believe that the Jews who came to be baptized had no conception of this new “Christian baptism” that John was administering? It seems from the New Testament record that no one was shocked to find him doing this. As a matter of fact, the Pharisees wanted to know if he was the Messiah. Were they expecting a baptizing Messiah who would bring a cleansing fulfillment to the OT Jewish washing rites? Is this something really new? Malone actually spends four pages at the end of the book “explaining” both the baptism of John and of Jesus and the disciples. He does not, however, spend any time exegeting these passages. He simply assumes we believe him. In point 10 he says that there is no abrogation of baptizing disciples in the New Testament. Actually, he has yet to prove there is a positive sanction for it by direct and clear statement. In any case, no Paedo-Baptist denies that adults should be baptized based on the evidence of the New Testament. They simply believe there is much more to the covenant sign than Malone believes. In point eleven, he blunders the Great Commission, taking into account no exegetical work. The text says, “Go therefore and make disciples of all the nations, baptizing them in the name of the Father and of the Son and of the Holy Spirit, “teaching them to observe all things that I have commanded you; and lo, I am with you always, even to the end of the age.” Amen.” What is the order here? Go and make disciples. How? Baptizing them in the name of the Father…teaching them. This is not difficult to see. Jesus tells the disciples to make disciples. They have been baptizing them all along so a clear, definitive statement on this should not be so confusing. They are to make disciples. OK. How? When a Latin Student is going to learn Latin does he learn Latin first and then go to school, or go to school to learn Latin first? Malone’s proof text is quite poor. But again, no work is offered as to his conclusion on it. Point twelve he emphasizes that only those who received Peter’s words were baptized, not infant children. Well, that is correct. But is the baptism here a dry or wet baptism? From Joel 2 it seems to indicate a dry baptism, or change wrought by the Spirit attending the Word of God. Malone seems to think this is a wet baptism. However, Malone is not exegetically savvy here either. As a matter of fact, his exegesis later will demonstrate he missed the entire structure of the passage and completely ignored the Old Testament context of Joel. Point 14 demonstrated that baptism is a sign of the subject’s cleansing from sin, where actually, it is a symbol of cleansing or washing, but a sign of the covenant in Christ. Point 15 is interesting to me since Malone, as a Baptist, calls baptism and the Lord’s Supper sacraments. As a Baptist this should disturb him. He also engages in a bit of prestidigitation here where he twists the Confession to his own liking. Here is how he quotes it, “That they are included as elements of worship under the regulative principle of worship positively instituted by God and “limited by his won revealed will” (WCF 20:1, 5). The elements of Christian worship governed by the regulative principle are all “expressly set down in scripture,” not deduced “by good and necessary inference.”” The WCF does not say this in chapter 20. Chapter 20 is on Christian Liberty. In Chapter 21 of the WCF it says this, “But the acceptable way of worshiping the true God is instituted by himself, and so limited by his own revealed will, that he may not be worshiped according to the imaginations and devices of men, or the suggestions of Satan, under any visible representation, or any other way not prescribed in the Holy Scripture…as also, the due administration and worthy receiving of the sacraments instituted by Christ, are all parts of the ordinary religious worship of God.” In neither place does it mention the phrases “expressly set down in Scripture” nor “by good and necessary inference.” Yet, in any case, even when we must pick at the mind of God to understand His Word, whether he reveals it to us plainly, or by cryptic sayings, or by example, or by poetry or wisdom literature, in any case we are to follow it. To say that Christ does not institute infant inclusion in the covenant is to deny that Christ is Lord over the entire Bible. To say that Christ directly institutes infant inclusion in the covenant is seen all through the Bible, no matter how hard or easy exegesis allows us to come to this truth. What Malone is hoping for, is that everything we need to accomplish for the New Testament church is found in the New Testament and must be clearly articulated there. Infant inclusion in the covenant in the New Testament is clearly articulated both by Christ, and by the Apostles, as well as Luke. However, Malone would like to see specific verses that teach it, just as much as I would like to see specific verse that teach Credobaptism. Chapter 1 – Preliminary Principles: Hermeneutics, Authority and baptism. I do not intend to spend much time tearing down Malone’s straw man in a few of his main chapters. The reason is because I think Malone has made poor choices in which straw men he would like to build up and then attack. There are some comments I would like to make about his thoughts on hermeneutics. He says, “The hermeneutical principles necessary to settle the question are usually agreed upon by both Baptists and Paedo-Baptists.” This is not true. Baptists tend to take their concordance and run around the New Testament attempting to find “infant Baptism” somewhere. When they do not, they look back at the Old Testament, while standing on the New Testament, railing against Paedo-Baptists for Judaizing the New Testament. This is a backwards hermeneutic. For instance, Malone will later talk about both Hebrews 8 and Acts 2 without looking in depth at Jeremiah 31 and Joel 2. We see no exegetical work that leads him to conclusions because his backwards hermeneutics begins with understanding the New Testament interpretation of Old Testament texts without understanding the Old Testament texts. by R.L. Dabney, William the Baptist, by James Chaney, The Covenant of Life Opened, by Samuel Rutherford, The Scripturalness of Infant Baptism, by Ergatees, Anabaptism: The Fountain of Independency, Antinomy, Brownism, Familism, and the most of the other errors which for the time do trouble the church of England, Unsealed; Also, the Questions of Paedobaptism and Dipping Handled from Scripture by Robert Baillie, Letters on Baptism by Edmund B. Fairfield, Immersion and Immersionists, by W.A. Mackay, Infant Baptism, Its Nature and Objects by James Lumsden, The History of Infant Baptism in Two Parts by William Wall, A Defense of the History of Infant Baptism Against the Reflections of Mr. Gale and Others by William Wall A Plea for Infant Baptism in Seven Parts by James Milligan, The Origins of Infant Baptism, by Joachim Jeremias, and A Practical Discourse Concerning Vows with a Special Reference to Baptism and the Lord’s Supper by Edmund Calamy. Malone leans into Murray’s arguments from “good and necessary inference” and does not believe that an instituted [sic!] “sacrament” should be made by “good and necessary” inference. Rather, Malone wants things positively stated. Too bad baptism itself is not set that way (but Malone seems to miss this entirely.) In a footnote he says, “Baptists believe that the NT antitype to Old Testament circumcision is heart circumcision, not baptism directly (Colossians 2:11-12: Philippians 3:3; Romans 2:28-29; Galatians 6:15-16). In the OT, circumcision is prospective of the need of regeneration; in the NT, baptism is retrospective of regeneration received.” This is simply nonsense. I ask “Why?” at the end of his notation. Its nice to say, “Baptists believe…” whatever, but is it true based on Scripture? He misunderstands what Christ accomplished and what Baptism signifies. Paedo-baptists are not interested in a “replacement” theology. Briefly stated, circumcision was the sign of the Covenant of Grace in the Old Testament given to Abraham. The sign in the flesh demonstrated the need for heart circumcision (Deut. 10:16 and Jer. 4:4). In Christ circumcision is fulfilled, but not abrogated. It continues in heart circumcision (as it had always done), and the covenant sign of the New Testament is baptism. The sign symbolizes regeneration as well – the need for cleansing. Baptism does not replace circumcision respectively since heart circumcision continues which is what circumcision was all about. The Spirit circumcises the heart (Col. 2:11-12) and fulfillment of being washed by Christ from sin is seen in the sign of the covenant – baptism. As Moses and the Israelites (all of them) were baptized into the wilderness (most likely a notation on why they were not circumcised having a “covenant” antitype sign on them in the Old Testament under the Covenant of Grace) so now we are baptized by the fulfilled work of the circumcising Spirit of Grace. Malone believes that the New Testament sign itself signifies “actual” regeneration, and that the New Testament sign itself symbolizes the fulfilled work of Christ and heart circumcision now applied in the washing of water. How could Malone ever, in any case, be sure that he is baptizing someone who is actually regenerate? Would it be a misuse of the ordinance, from a Baptist perspective, to baptize someone not regenerate? This is the contending factor of the entire polemic. However, Malone is never, ever, able to bring this to pass in any church. His formulation of baptism will fail every time he administers it since he can never be sure he is administering it successfully. This is a dubious New Testament ordnance for Baptists indeed! He says “We are not knowingly to allow the unregenerate into the church.” A first problem is that God knowingly and by command had unregenerates in his church in the Old Testament and commanded Abraham to continue this for all generations. That places a big question mark on Malone’s view of God’s wisdom. Second, the sign was given and administered to the unregenerate church member of the Old Testament. Third, Malone is making a subtle New Testament distinction here through his blatant Dispensationalism where he divides the New Testament church from the Old Testament congregation. So to speak, Malone is saying, “In the New Testament we are not to have the unregenerate in the church.” How then does he work the church and Israel into one body, one faith, and one baptism? He does not. Instead, he resorts to a Dispensational Covenantal view of the Bible. In checking the corroboration of Murray’s ideas for baptism, Malone asks, “the question remains: Then why did Jesus not baptize these children” in terms of the blessing he gave them and the account in Matthew 18:1-6; 10:13-14; Luke 18:15-17)? Actually, that is not the question at all. First a statement is made – if the New Covenant is completely different than the “covenants” in the Old Testament, any of them, then we should not find similar thoughts or actions of Old Testament ideas seen in the New Testament. The question becomes, “Why does Jesus take the time to bless these children if Malone is right and God is only concerned with the regenerate church? Is this an act of futility?” For Malone, and his “covenantal Baptist” theology, the answer is yes – this is a waste of Jesus’ time, and Jesus, consequently really does not know what he is doing or even why He came. For Malone, Jesus came as the Mediator for the New Covenant which translates into the “regenerate.” For Jesus, it seems He came to do something more. If blessing the children is not grounded in the Old Testament covenantal ideas, then Jesus, in this passage, from a Baptist view, does not understand his own theology. Misunderstanding theology is a sin. When Christ blesses the children, baptizing them is not the issue. The issue remains as to why Jesus would do such a thing in light of Malone’s theology. He has no answer for this. The question should be asked, “When the Messiah comes, and the people are looking for His inauguration, what do they do with their children?” Accordingly, women were bringing little children – babies – to Jesus. Why? Why would mothers want to give their babies to Jesus? (And babies here can be up to a year old, or so based on the Greek wording). They want their children to be part of the covenantal Kingdom that the Messiah came to inaugurate. Jesus blesses them and states, emphatically, that the Kingdom belongs to them. These babies own the Kingdom. What will Malone do with this? He remarks on this later denying they are babies. Malone asks another question, “How do we know that baptism is extended to females except from commands and examples in the New Testament?” He must not be aware of the Old Testament circumcision of females. Were females circumcised in the OT? Of course – they were virtually circumcised. Here is how Covenant Theologians think this through: First question: Were Israelite women able to partake of the Passover? Answer: I do not know of anyone who would disagree. The entire family was obligated by God to do so. Problem: Exodus 12:48 describes the proselyte males who shall be circumcised in order to eat of the Passover. He says, “And when a stranger dwells with you and wants to keep the Passover to the LORD, let all his males be circumcised, and then let him come near and keep it; and he shall be as a native of the land.” Then the problem arises, God says – “For no uncircumcised person shall eat it.” Females are not formally circumcised. God says that no uncircumcised person having a “foreskin” can eat of the Passover. Women actually have this (but I am not going to get into the medical aspects of it – you can look it up on your own.) If females, then, are not circumcised, how does God allow them to eat of the Passover? Answer: They are circumcised through Federal Headship – the father of the family, otherwise they would remain unclean and cutoff (that which symbols the cutting of the flesh of the foreskin and discarding it). Second Question: How do we know they are “virtually” circumcised, or they are seen as circumcised in order to be acceptable in this regard, and partake of the Passover, for instance? Answer: The ratification of the covenant is where we find the answer. The Scriptures give us an example of covenant faithfulness where God, and everyone bound by the covenant, must be solemnly set forth. Genesis 15:17 says, “And it came to pass, when the sun went down and it was dark, that behold, there appeared a smoking oven and a burning torch that passed between those pieces. On the same day the LORD made a covenant with Abram…” We know that to “covenant” means to “cut.” The ratification of this “cutting” is done through an ontological adherence to the cut pieces of the covenant. God himself passes through the pieces of the covenant animals and sacrifice. He says, without saying it, but through action, “Whatever is done to these animals, let it be done to me if I do not uphold my side of the covenant.” In the same manner, any person who “covenants” with God can be “cut off”. They are cast out of the covenant if they are found unfaithful. This is likened to the foreskin of the male organ being “cut off and cast away.” The “sin” is purged from the camp. Blood must be spilt, as the foreskin cut had spilt blood. Not only is the covenant sign given in the flesh, but it also acts as the ratification of the covenant. The seed passes through the covenant cutting, just as God passes through the covenant cutting. The sign of this passing was circumcision so that the male, the head of the family, continually carried around the ratification of the covenant in his flesh, and hopefully, in his heart as well (Deut. 10:16 and Jeremiah 4:4). Each time the lineage of the faithful (the children of Abraham) pass through the cutting of the covenant sign in the flesh of the foreskin, one of two things will happen – 1) God would regenerate them and they would continue to uphold the physical and spiritual aspects of the covenant, or 2) God would not regenerate them and they would ultimately be “cut off” and “cast away.” (Achan, Dathan, Korah, AND THEIR FAMILIES – women and children included based on federal headship). If the female did not symbolically partake of this ratification, of which the covenant stands or falls in blessing or curse upon them, they would not be able to be part of the “clean” people of God. They would remain as covenant breakers who do not believe the promises of God, as the proselyte was until he was circumcised willingly, and baptized with his entire family as Maimonedies sets forth concerning Jewish history. The females would also not be able to partake of the Passover if they there not considered being clean, or circumcised, by oath. The seed passing through the cutting of the covenant is the same as God passing through the cutting of the covenant. In this way they ratify the oath made. And it also expresses the monergistic aspect of salvation in that the seed, not being sentient, is bound by the covenant stipulations. When a male passed through this same ratification, he not only bound himself to the covenant, but also is given the role of carrying around that covenant in his flesh to continue its outward, and visible administration of a spiritual truth (Genesis 17). It seems Malone was not thinking about this at all. Malone finally denies that the sacrament is a sacrament by arguing against William Cunningham’s use of the term “seal” in reference to the baptism of children. Malone asks, “What efficacy? Where is this even mentioned of baptism in the Scriptures?” Rom. 4:11; Col. 2:11-12 help us with this, and Malone seems to overlook this. Baptism, being the New Testament covenant sign, does not lose the efficacy that God intends in it, but is strengthen by the fulfillment of it being secured by Christ. As circumcision was the Old Testament sign, so baptism is the New Testament fulfillment of that sign. Instead of a bloody tearing away, it is now a cleansing and washing. The Westminster Confession of Faith in 28:1 states this clearly, and the 1689 Baptist Confession of Faith removes this completely in 29:1. This demonstrates the radical discontinuity that the dissenters had against the orthodox church in both the meaning behind the sacrament and the sacrament’s administration as well. Malone then attempts to dismember Murray’s good and necessary inference by a simple fallacious argument called “ignoratio elenchi” or irrelevant conclusion, and even attempts to pit the Westminster Confession against Murray. This is humorous. Malone does say that it is valid for exegetes to draw inferences from Scripture, but he just does not like the inferences that Murray draws and enters into a subjective battle here. Is this hermeneutics? Not really. It seems Malone cannot accept the idea that good and necessary inference is just as valid in exegeting the Bible and the Mind of God, as if God were to say “Thou shalt not kill.” It would be nice if the Bible simply explained everything, but the very reason why Malone wrote his book demonstrates that God’s mind is hard to pick at on difficult truths. Malone believes that Murray’s inference contradicts believer’s baptism. It is a wonder, then, why most of church history has embraced Paedo-baptism while still baptizing professing disciples. Has Malone missed this point? Paedo-Baptism does not contradict believer’s baptism because of the nature of the sacrament as a sign and seal. 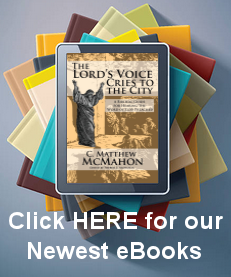 Malone, though, reinterprets the meaning of the New Testament sacrament to reflect something that he does not explain God commanded as an Old Testament sacrament. Abraham circumcised Isaac, an 8 day old child. The sign he placed on him was the covenant sign of circumcision, and it symbolized regeneration. Why would Abraham apply a sign that symbolized regeneration on an unregenerate? Why does Malone fight this when God commanded it? Why does Malone desire to negate the sacrament in the New Testament of its efficacy? The reason lies chiefly in the reality that Malone will completely overhaul and reinterpret the meaning behind what “covenant” means. He totally abandons Covenant Theology for the last 2000 years beginning with Irenaeus and Augustine, up through the Reformers, the English Puritans, the colonial separatists, Edwards, the Princeton divines, etc. Instead, he must, of necessity redefine “covenant” in order for his “new dispensational” system to work. Malone then quotes Andrew Sandlin (a recognized Federal Vision advocate whose eschatological theology is as over realized as Malone’s), and the Westminster Confession demonstrating that things deduced are not as binding as things clearly stated. This is absolute nonsense. God’s mind, in whatever degree it is given in the Scriptures is equally binding as if He were to blatantly tell us something. To say otherwise is to overthrow the inspiration of revelation. Malone then lists a series of questions that have, in his mind, important implications. Two that are relevant, or are important for the discussion in his book, are numbers 2 and numbers 8. Number 2, “What has changed in the application of the covenant family concept from the Old covenant administration to the New Covenant Administration?” This is vague at best. What old covenant does he mean? I assume he means between Moses and Christ (which is what he should be referring to). If he is right, and there is a shift, then one should easily run through the New Testament and find little, if any, covenant language that reflect families. Nothing about “promises to children” or “household baptisms” etc. That language should be done away with if Malone is going to continue pressing his radical “individualism” in the New Testament. It is not the Covenant of Grace that is being done away with, but the scaffolding of the Mosaic covenant that is no longer needful. His point 8 says, “What exactly are the covenant blessings for the new Covenant child of believers?” Simply, they are the same as they were for Old Testament believers and their children. This question, in and of itself, screams Dispensational thought. Malone is so sure that the Old Covenant (which in his mind means everything before Malachi) and the New Covenant are so radically different (and that is due to his improper designations of the covenants) that something different must be happening in the New Covenant. This is based, wholly and completely, on poor exegesis of Hebrews 8 and Jeremiah 31, as we will see. Malone then gives us a brief overview of the grammatico-historical use of hermeneutics. This is all well and good. He uses Augustine’s paradigm “the New is in the Old concealed: the Old is in the New revealed.” Unfortunately, as I previously stated, Malone does not believe this, though he says he does. He says, “The New Testament has a priority to teach how the Old is fulfilled in it as the inspired commentary on the Old Testament.” I am shocked that Malone does not see his bad hermeneutic here. What does he mean that the New Testament has “priority?” Does this mean that Hebrews 8 dictates what Jeremiah 31 says even if Jeremiah 31 says something different that Hebrew 8? Will the New Testament ever contradict the plain meaning of the Old Testament? If we were to exegete Jeremiah 31 and then exegete Hebrews 8, would we expect to arrive at the same conclusions? I hope he thinks so. But it does not sound like he is on that page. It seems to me that Malone, like a good Baptist, will use his notions of the Apostles in the New Testament to trump the teachings of the Old Testament. Malone then says, “According to Bernard Ram, typology has been the major area of disagreement between dispensational and covenantal scholars.” What Malone should be saying here is that Baptists, who are Dispensationalists, disagree with Covenant Theologians over the idea of “covenant.” This is the tension. Malone then lists five hermeneutical principles. They are as follows: 1) the near context is more determinative of meaning than the far context. 2) A didactic or systematic discussion of a subject is more significant than a historical or descriptive narrative. 3) Related to number is the principle that explicit teaching is more significant than supposed implications of a text. 5) Later passages reflect a fuller revelation than earlier. It is interesting to me that Malone lists these in order to demonstrate that New Testament texts rule Old Testament texts. He uses the example of Jeremiah 31 and Hebrew 8 on page 36, three pages after he gives this list. He says there, “For instance, the Old Testament’s institution of circumcision must not take precedence over how the New Testament defines the meaning and fulfillment of circumcision.” This is true. If the Old Testament, though, is at odds with the theologian’s New Testament explanation, then there is a problem with the exegete rather than the texts. Then he says, “The New Covenant itself is a prophecy from the Old Testament (Jeremiah 31:31-34; 32:40), but it must not be interpreted in opposition to the New Testament explanation (Hebrews 8:8-12; 10:16-17).” This is also true, but what if the exegete has misunderstood Hebrews 8 because he did not know what Jeremiah 31-32 said or was really conveying? Then his exegesis becomes dubious and violates the very principles Malone sets down. The question is then posed – here we have Jeremiah 31-32 and Hebrews 8 – which do we exegete first? The Baptist exegetes Hebrews 8 first, and the Covenant Theology interpret Jeremiah first. According to Malone’s list of principles, we should exegete Jeremiah 31 first. Whenever we find a text quoted in the New Testament the exegete should immediately stop and take on the exegesis of that statement first, then come back to the New Testament to be sure he understands the context and meaning of the passage. However, Malone seems to be pushing for Hebrews 8 to rightly interpret of exegesis of Jeremiah 31, instead of allowing the two passages to compliment one another (which they do). Subsequently, we have no exegetical work to test Malone’s theories on either Hebrews 8 or Jeremiah 31. Malone then lists three errors that are hermeneutically made: 1) the Dispensational error, 2) the normative worship error, and 3) Theonomic Error. It is strange to me that since Malone sees the covenants of the Old Testament as different than the Covenant of Grace, how is it that he escapes Dispensationalism? By his own admission he has made a hermeneutical error. In the normative worship error, Malone continues to say that New Testament worship is dictated by the New Testament not the Old Testament. We have already talked about this at length. If one is dispensational, this “error” in the Dispensational mind will always be the case. The Theonomic error is a horse of a different color, and far beyond the scope of Malone’s book. He says that there is no evidence for the truth that the case laws of the Old Testament contained moral principles based on the Ten Commandments. What will Malone use to uphold the case laws if not the character of God seen in the Law? I think that Malone is not only having a hard time in dealing with the sacrament of baptism, but he has gone far past the scope and intention of his work to deal with theonomy rightly, or even fairly. Matthew 28:18-20 is quoted and Malone emphasizes that “them” is important. The Apostles are to make “Disciples”. How do they do this? Malone says “baptize them” and “teach them.” He says Matthew is saying the “them” refers to disciples, not nations. Regardless of whether they refer to disciples or nations, Malone has stuck his foot in his mouth here. How does one make disciples? Baptize them, and then teach them. This is true. Disciples are made in this way. Malone says, throughout the rest of his book, that they are taught first, then saved, then baptized upon profession of faith. Why then does Jesus say baptizing them first and then teaching them subsequently makes disciples? Malone has befuddled a key text. Malone says, “The acceptance of Paedobaptism inevitably opens the door to these other errors.” He is taking about the three errors of Dispensationalism, Normative Worship errors, and Theonomy. How does this inevitably happen? We are not told. Malone simply thinks this. It is interesting that his Dispensationalism has been left out of the bag here. Malone then moves into describing his “right” hermeneutic for baptizing disciples alone. He first says that we ought not to throw out the Old Testament. He says the Old Testament are prophecies of the New to come. This is a common blunder. The Old Testament prophecies of the New Testament will fulfill, not simply describe or replace, the Old Testament. For instance, the High Priesthood of Melchizedek in Genesis 17 will continue forever in Jesus. It never stopped, was never voided, and will never lose its significance. Malone attempts to affirm the unity of Scripture, but his practical outworking of this will be seen by his poor hermeneutics in extreme diversity. He believes that the New Testament is limited by its diversity from the Old Testament. “Limited” is a poor term; fulfilled would be more useful. Jesus did not come to “limit” the Law and Prophets, but to “fulfill them.” Malone, then, uses this sentence to guide his hermeneutics, “The New which was in the Old concealed finally has been revealed by the New, explaining in a final authoritative way how it was concealed in the Old.” This is not necessarily a bad way of stating the idea. However, Malone’s hermeneutic will reinterpret this sentence to say, “The New which was in the Old concealed finally has been revealed by the New, explaining in a final authoritative way how it was concealed in the Old, and the only final authority for understanding the Old even over the Old itself.” Why does Malone need to override the quote he previously gave by Augustine? (The New is in the Old concealed and in the New the Old revealed.) The reason is because this places too much of an equality on both, where Malone wishes the New Testament alone to rule by positive institution everything he does in worship. He is hermeneutically interpreting hermeneutics by his own grid. In order for us to understand Hebrews, we must understand the Old Testament first. This is where Malone is going to differ and why he changes the intent of the quote above. Malone ends this chapter with this paragraph, “If we follow these principles consistently, we must first conclude that supposed “good and necessary inference” from the Old Testament cannot carry more weight that the New Testament command and example expressly set down in scripture, especially for the “sacraments instituted by Christ” himself.” Why do we have to conclude this? Malone’s reinterpretation of hermeneutics, and his own unknowing admission of Dispensational ideas have already pigeonholed him into a false hermeneutic to start with. Why would we need to listen to him any longer? The Old Testament and the New Testament carry equal weight in understand the revealed mind of God. No doubt, the New Testament explains many things hidden in the Old Testament, but New Testament interpretation resides on the information in the Old Testament. Without understanding this progressively first, and in exegetical detail, exegetes will always begin their hermeneutics backwards starting in the New. If Matthew 1:1 says, “The beginning of the Gospel of Jesus Christ the Son of David the Son of Abraham…” The thinking reader is going to ask, “Who is Abraham?” and “Who is David?” They are right questions in order to understand who Jesus is. They have to go back to the Old first to understand Abraham and David in the New. Malone starts off in this chapter and section by missing the point altogether. He says, “Indeed, voices from both Baptist and Paedo-Baptist ranks shout that if one accepts Covenant Theology in principle, then one has to go all the way and accept infant baptism.” Then in the footnote he says that this simply “reactionary” and Reformed Baptists do not accept this. We have already seen that “Reformed Baptist” is an oxymoron. This demonstrates Malone’s inconsistency in his own understanding of history and theology. Secondly, he has his conceptions incorrect. The sentence should read, “Indeed, voices from both Baptist and Paedo-Baptist ranks shout that if one accepts Covenant Theology in principle, then one has to go all the way and accept infant inclusion in the Covenant of Grace.” Infant baptism comes later. In a three hour conversation on Covenant Theology infant baptism comes at the last three minutes. Malone says that classic Covenant Theologians are men like Berkhof and O. Palmer Robertson. No offense intended, but I would have chosen Augustine, Calvin, Witsius and Owen. Why does Malone not deal with all the sources he should be dealing with? He uses Owen but does not deal with him. Malone then makes a theological blunder with describing the Covenant of Grace and the Covenant of Redemption. He says that he believes in the Covenant of Redemption and seems to describe it well. But then he says, “Some identify the Covenant of Redemption with another covenant, the so-called Covenant of Grace. There is little difference between the two positions.” This is absurd. There is a huge difference between Covenant Theology that teaches the Covenant of Redemption being eternal and where all the predestination passages take place, and the Covenant of Grace that is the outworking of that covenant in time, and the second position that melds the two together to make salvation and covenant inclusion coextensive. This is the heart of the matter between Covenant Theology and Malone’s theology. He simply does not understand the two positions if he is saying this. He then says, “Covenantal Paedo-Baptists and Baptists also both believe in the historical Covenant of Grace that God made with His elect.” This must be qualified because Malone and I do not see eye to eye on this. God makes his Covenant of Grace with his elect and the seed of the elect believer. Malone denies this. This statement then is false and inaccurate at best. Then, Malone begins to make a distinction between Genesis 3:15 (The Covenant of Grace) and the “covenants of promise” seen through the Old Testament. Here is where his Dispensationalism comes to fruition. To divide the two (the Covenant of Grace and the other “covenants”) is to divide the nature of how God views Israel, the church, and the manner He saves in both eras. Rather, the Covenant of Grace is the covenant of promise given to Abraham, and the law, or the scaffolding around the building of the Covenant of Grace, will be done away with when Jesus comes. Covenant Theology and Malone’s theology are radically different. He then says, “Covenantal Paedo-Baptists and Baptists both believe that the New Covenant of Jesus Christ is the fulfillment of the Abrahamic covenant and is the clearest and final fulfillment of the historical Covenant of Grace. The New Covenant is therefore the fulfillment of that eternal Covenant of Redemption to save God’s elect people (2 Tim. 2:1-8).” The first sentence is true, but Malone is going to show us he really does not believe this. The second sentence is false. The New Covenant is the expression of the Covenant of Redemption in time, and the Covenant of Redemption will be fulfilled in the eschatological eons of eternity. Malone then says, on the next page, that “the tendency of Paedo-Baptists to make the Abrahamic Covenant with its organic elements almost identical to the Covenant of Grace and, thus, the New Covenant administration.” Correct me if I am wrong, but this is a blatant contradiction to what he just said on the previous page. He said, “Covenantal Paedo-Baptists and Baptists both believe that the New Covenant of Jesus Christ is the fulfillment of the Abrahamic covenant and is the clearest and final fulfillment of the historical Covenant of Grace,” and then says, “the tendency of Paedo-Baptists to make the Abrahamic Covenant with its organic elements almost identical to the Covenant of Grace and, thus, the New Covenant administration.” Did he proofread this before publication? He seems to be putting some weight into the word “organic” here. If the Abrahamic Covenant is the same as the New Covenant (which it is), then it cannot be different. If the New Covenant fulfills the Abrahamic Covenant then they cannot be different essentially. Malone insists they are different. He believes the seed of Abraham is fulfilled in Jesus Christ, and those that are of faith in Abraham are the true seeds. This is not wrong, but his conception of “covenant” is going to assume that God’s dealing with unregenerate infants, in any covenant, new or old, is going to be a mystery. Why would God bother to have children included in the covenant, if “covenant” does not pertain to them in any way, but only as one of faith? He will have to, then, reinterpret the meaning of “covenant” for the entire Bible, which is exactly what he does, in order to make all this work. Malone quotes Robertson to define covenant as a “bond in blood sovereignly administered by God.” This is necessarily wrong, and hardly a definition of Reformed Theology. For instance, the Davidic expression of the Covenant of Grace does not include God talking about blood at all. However, Malone uses Robertson’s definition as what “Paedo-Baptists” believe. This is a fallacy. Reformed Theologians have always defined “covenant” as a “pact or agreement between two parties.” Next, he quotes Booth who adds the classic stipulations, blessings and curses of the covenant. Malone dislikes this and desires that every covenant speak for itself. This is interesting since Malone is going to quote Ecclesiastes and Hosea to explain Genesis 2 and the Covenant of Works. Why does he play with words in this way? Why not let Genesis 2 speak for itself. The reason is that Genesis 2 is not a complete picture, or rather, not as complete as we would like it in clear statements, to describe the situation. Other parts of the Scripture must accompany this. But Malone, in his exegetical fallacy here, uses other Scriptures to define Genesis 2. He should have listened to his own advice and allowed each covenant to speak for itself. But this is an impossibility, for all of the Bible, by the Analogy of Scripture, will help us define the basic meaning of covenant and it uses. He says that Booth says the New Covenant is breakable by those who apostatize. Malone says this cannot be. Covenant Theology, orthodox theological history, says that is exactly what we understand the Scriptures to say. But this must be qualified by understanding what is meant in the New Covenant, church, membership, excommunication, etc. Malone says, “In the New Covenant there is no curse for covenant breaking.” Has Malone read the New Testament? Surely he cannot miss the warning passages? Actually, he does address them later, but does injustice to them and their intent, as we will see. Each covenant, Malone says, should be interpreted in its own context and allowed to define what covenant means in each context. The problem with this is that “covenant” throughout the Bible, has essentially the same meaning. To define all the contexts in all the Bible of covenant bring certain ideas in view: Preamble (identifying the suzerain) Historical prologue (recounting the suzerain’s beneficent dealings with the vassal) Stipulations (stating the suzerain’s requirements of the vassal) Sanctions (blessings for obedience, curses for disobedience) Dynastic disposition (providing for how the relationship is to be perpetuated in the face of changing circumstances). This is the basic constitution of “covenant” seen with Adam, Noah, Abraham, Moses, David and Christ. Malone then attempts to demonstrate that since the immediate context of the Abrahamic Covenant does not include a curse (?) then this shows that the Abrahamic Covenant should be defined on its own terms. That is as consistent as saying the Adamic Covenant does not say, “covenant” so it is not one, though Malone believes it is. “Covenant” elements are stipulated through the Bible, and as “covenant” is used, the significations of “covenant” are applied. The Bible does not have to give us everything we would like it to give in every situation. In essence, after Adam, we should be well aware of what a “covenant” includes. Malone then begins to cuddle with John Owen and Louis Berkhof, as if the Covenant Theologians are going to cuddle with him. In minimally choosing passages from their works, he attempts to make a case that “promise” and “covenant” are two different animals. Hence, the Old Covenant contains “aspects” that are “essentially the same” in the New Covenant, but not exactly the same. This is typical of a redefining of Covenant Theology. The reader should refer back to John Owen (see my survey on his ideas of the Covenant of Redemption and the Covenant of Grace from all his works). Owen should be fairly treated by assessing all his works and keeping his theology in context, which will prove fatal to Malone’s ideas, that “The covenants of promise and the New Covenant have a real unity. That does not mean, however, that they are essentially identical.” Malone attempts to secure this by his definition of the New Covenant and the character of it as unbreakable. The unbreakable nature of the New Covenant is seen in his ideas surrounding Jeremiah 31 and Hebrews 8. However, as has been said, he shows no exegesis on why this is so. He even misunderstands the Paedo-Baptists by attempting to say they have believed that the Covenant of Redemption included unbelievers. This is nonsense. No Paedo-Baptist has ever believed this. Malone is confused because salvation and the covenant for him are coextensive. This is the overall problem with his theological stance that cannot stand up to the unity of Scriptural attestation. Nor does Malone ever give a foundation of the Law, to any great extent, as underlying every covenant that he sees in Scripture. He cannot. If he does, then there is a common unity among them that would necessarily destroy his thesis. Malone believes that the physical elements of the Abrahamic Covenant no longer apply. Would he say, then, that the covenant sign in the New Testament be administered some other way than outwardly? Would he say that communion should cease to be taken since Melchizedek communed with Abraham in this way? Would he say that children, now, are no longer important in the scheme of God’s redemptive plan, and that God no longer works through families or cares about them covenantally? Yes, that is what Malone seems to be saying. He has successfully redefined Covenant Theology into a Dispensational theology that was started by Darby about a century and a half ago. He says, “The Baptist position also holds that God has actually revealed in the New Testament a change in the identity of the children of Abraham entitled to the New Covenant sign of baptism.” Here Malone presses “individualism.” This idea is the leading guide of Baptistic Ecclesiology and “Sacramentology”. He then quotes a reference to Jeremiah 31:27-34, but he just said that the New Testament dictates the change. Why would he hold to an Old Testament idea? He should simply quote Hebrews 8 and forget, exegetically, about Jeremiah 31. Then, Malone insists that such a change is made, and so he sees “ample evidence” in the New Testament for this change. But again, if this is the case, he will need to strip away any reference at all to Covenant Theology. If such a radical shift occurs, why do we find God still concerned with using covenant language? Finally, Malone talks a little about the New Covenant and Jeremiah 31. He gives the typical Baptistic overview of the law being written on their heart in this New Covenant. Did Abraham have these things? If he did, then the New Covenant is not something New as Baptists would say. The comparison in Jeremiah 31 is not to abolish the Noahic covenant (that would make God a liar) or the Abrahamic covenant (we would not be saved at all if that were the case.) In abolishing the “scaffolding” around the building, the Mosaic laws of ceremony (scaffolding) and ritual (scaffolding) are done away with when the building is built and the capstone is placed upon it. In relation to a building started, it may be deemed as a new work (like with Abraham) but when the capstone is set and the roof is attached and the building is ready for full use it seems like a new place altogether in comparison to simply laying the foundation. This the building analogy Paul uses in the New Testament. The Mosaic economy is no longer needed because Christ fulfills all the promises he made to Abraham. And God today is still upholding the promises he made to Noah (and all flesh) lest we all be destroyed by another flood. If this is the case, at what point will they “ALL know me” from the least to the greatest? Again, the eschatological nature of Jeremiah’s prophecy in context is not something that happens now, though we have a taste of it, but later in heaven. Only in heaven will we have no physical teachers, and only in heaven will all know God from the least to the greatest. I know of no Baptist church anywhere (no independent group of dissenting sectarians) that ever claimed they knew infallibly that all the members of their church were in fact saved. No Baptist church I have ever been a part of for the first 20 years of my Christian walk has ever made that claim, or can do so. They say they baptized based on profession of faith, but they should be baptizing, if they remain consistent in their interpretation of Jeremiah 31, to baptize only the regenerate. But then they get confused and say they don’t know if they are regenerate and must take a best guess at it as far as they are able. But that does not fit the theology of Jeremiah 31. All should know him and only regenerate members should be part of the church, not to mention they are taking the Lord’s name in vain if they baptize someone who is not regenerate according to their own theology because they say that only believers should be baptized. Can one place the name of the Father, Son and Holy Spirit on someone without knowing they are regenerate? Can Baptists do this and not sin? By their own theological stance, to “dare” to do this without knowing infallibly, would be to misus4e the “ordinance” according to their ideas. There are many theological and practical conundrums in this interpretation of Jeremiah for Baptist theology. Baptists are consciously allowing, because of sin, unbelievers into their membership and part of the body. Malone calls this radical individualism in the New Testament “heightened individualism.” Novel. The renewed covenant made with the house of Israel and Judah is the Abrahamic covenant fulfilled in Christ. It is set in contrast to the ceremonial and judicial laws given at Sinai because the blood of bulls and goats does not really save. Jesus Christ inaugurates the coming of this new kingdom and renewed covenant. In doing so, the New Covenant is “now” for us, since we are saved; but it is also “not yet,” in that in heaven all people will know the Lord form the least to the greatest. There are teachers now inaugurating the renewed covenant, but there will be no teachers then. There are saved people now, but the “knowing” is complete only in heaven. No church, anywhere, is made up of all regenerate people, and is without teachers or pastors. Chapter 4: The Covenant Theology of the Bible (Part II): New Covenant Fulfillment and Infant Baptism. In the beginning few pages of this chapter, Malone simply reiterates what he already said. Then he brings up Jeremiah 31 again. He says, “By definition, every heart in the New Covenant is circumcised by God.” The question to ask here, since Jeremiah gives us both the inauguration of the New Covenant as well as some eschatological realities to it, is “When?” “When will they all know from the least to the greatest?” “Now?” According to Jeremiah, it will happen when there are no more teachers to teach us. When will this be? In heaven. Malone completely misses the eschatological reality of the now and not yet as aspects of the New Covenant. Then Malone says that the New Covenant is not like the Sinai covenant that had stipulation. He says this because his new definition of “covenant” forces him to say this. If he does not, then the Paedo-Baptists interpretation of the New Covenant would be correct, and would correlate to every other progression of the Covenant of Grace seen in the Old Testament (which it does). Then, Malone fights against the definition of the word “New”. He wants this word to be “brand new.” Unfortunately, the word means, “new, renew, or refresh.” These are synonyms. What is Malone’s response for the Hebrew “chadash.” He quotes a number of uses of the word “new” in instances where he thinks things are “brand new.” For instance, Exodus 1:8 says that they get “a brand new king.” Question – is “kingship new?” No, it is not. He quotes Deut. 22:8, in terms of a “brand new house.” Are “houses” new? No they are not. A house may be built, but the “class” of “house” is not new. He quotes others as well, but fails to quote the same use of the word for things like, “They are new every morning: Great is they faithfulness.” (Lam. 3:23) Are God’s mercies new every morning? No. But they are refreshed or renewed to us each day as we seek Him. Job desired that his glory was “fresh” in him, Job 29:20. This does not mean “new” but renewed. A survey of the Old Testament will show that such a “renewing” in Hebrew is considered as new, though its cognate is old, but simply refreshed. It is almost never used of “new, as in “brand new” – as in something never done before at all. Plus, the context of Jeremiah is comparing Abraham’s covenant with the Mosaic Law, the tablets of stone, and the promises of the Lord to Abraham, of which we know Christ is the fulfillment. Abraham’s covenant is not new. It is refreshed, renewed, fulfilled, completed, etc., in Christ (which ultimately points to the use of this passage in Hebrews 8). Malone’s “selective” use of the word is dubious. Not only does the word new refer to something refreshed or renewed, but in Jeremiah the prophecy is contrasting the New Covenant with the Sinai Covenant (the Covenant of Works refreshed), not the Abrahamic Covenant. Malone then explains his dissatisfaction with seeing the New Covenant as not completely new, and then says, “Baptist covenantalists understand the New Covenant to be, in its essence, the possession of these blessings by every covenant member.” Where does it say “in essence” in Jeremiah or in Hebrews? It doesn’t. But in order to hold onto his theological perspective here, “in essence” will have to do. He does not deal with the eschatological impact of “no longer teach one another” will any clarity. He says on page 94 that some have tried to overthrow this “individualism” that he is after with eschatological ideas in Jeremiah 31. Instead, though, of dealing with this issue, which drives the eschatological content of the passage, he simply blows by it without mentioning the problem for his theological view at all. He then asks two questions: Can one be said to be in the New Covenant without an actual Mediator? Can one be under the Covenant of Works and the Covenant of Grace at the same time? I think not…” Actually, were Abraham and his circumcised children in the New Covenant? Yes. Did they have a Mediator? Yes. Was there a condition by which they would be blessed? Yes. How then could Christ be a fulfillment of that Abrahamic Covenant, but not be the Mediator over the covenant? What Malone is doing is mixing up the Covenant of Redemption and the Covenant of Grace here. Malone then says “In addition, Paedo-Baptists who hold that Baptism is the counterpart of circumcision are faced with the problem of Galatians 3:27, where all who were baptized into Christ have clothed themselves with Christ.” This is obviously a plea that since infants are baptized, they are not necessarily clothed with Christ. Malone is saying those baptized are clothed, ipso facto. What does he do with Simon Magnus, or any other false professor? Malone then moves into Paedo-Baptist arguments “refuted” where he tries to outsmart the warning passages of the New Testament. He says that for Baptists and Paedo-Baptists these passages “are difficult for both” to exegete and understand. This is simply not true. Baptists have a hard time with them because they are contrary to their theological position. However, they fit perfectly with a Covenant Theology framework. Blessings and curses are seen in the New Testament because covenant breakers and covenant keepers are sanctioned with one or the other. He deals with Hebrews 6 scantily. He says it cannot be used to support infant membership. I am fine with that. Can it be used to describe those in covenant with God that are not regenerate, and yet fall away? Hebrews 6 and 10 deal exactly with that issue. Malone offers little to disprove this, but he is dealing with the wrong question trying to place these passages out of bounds to infant membership. He needs to deal with unregenerate membership. Next he mentions John 15. He quotes the passage and says this, “However, John 15 makes clear that those disciples who do not “abide in Christ” were never “in” the New Covenant to begin with.” Malone then quotes the New Geneva Bible footnote that says that John 15 is dealing with “the union of Christ the Mediator with His redeemed people,” as if to say, “here, see, the Reformed Theologians agree with me.” But in a footnote on the bottom of page 103 he says, “There is no mention of who is in or not in the covenant in this study Bible edited by Reformed theologians.” I am glad he cleared that up for us. Footnotes can be helpful. Malone does not deal with the “sap” issue, which is a difficult concept. What I mean is “sap in the branches.” Life-giving sap that flows from the tree into those branches. The branches are in the vine or else they would not be branches (i.e. covenant members). They are branches. Branches are part of the vine. If they do not “abide” they are cut off. This sounds very much like Old Testament ideas to me. But I digress. Then, upon the same lines, Romans 11 is used to disprove that the same tree, or stump is still the same Covenant of Grace. He says, “The issue in Romans 11 is not that of an individual being a New Covenant member who has been broken off as a covenant breaker. Paul speaks of faith, rather than ethic origin, as the prerequisite of being engrafted into the root in the New Covenant era, whether Jew or Gentile.” Malone offers no exegetical work on the text, except a quote by A.T. Robertson that he agrees with. However, this idea is unattainable based on a few simple observations. Were the people in the stump to begin with and were they broken off? Does Paul threaten the individual Gentile or Jew, though they “may have faith”, that if they neglect to accomplish the conditions of true faith, and obedience, that he could be broken off as well? Why can New Covenant members, in a New Covenant epistle be broken off from the same tree stump that Jews were broken off from in the New Covenant? Malone has been telling us that the New Covenant is not breakable, but Paul the Apostle says they are broken off, and that there is even a warning of impending “breaking” if they do not continue in the faith! Malone then says Paedo-Baptists use poor exegesis to determine truths in this passage, where Malone offers no exegesis for his conclusions. I think Malone should go back and reread the Apostle Paul. To return to Hebrews 10:29, Malone says it is faulty to take secondary passages to overrule primary passages about the New Covenant. This is nonsense talking. We are to take all of the Word of God that is profitable for teaching, and apply it harmoniously with all of the Word of God. Hebrews 10:29 is not a “secondary” Scripture. Nor is Hebrew 10:29 a “disputed text” (??) as Malone would like it to be. That would make his position, at least in his own mind, more defensible. He quotes John Owen who sees this verse pertaining to Christ, “he was sanctified” pertains to Him. Then Kistemaker, with another view, and the John Brown with subjective opinion. Regardless of the view, the passage is dealing with “apostates,” the theme of the entire chapter. Apostate from what? From a profession? Trampling the blood of the covenant? How does one trample the blood of the covenant without having a relationship within the covenant? (It is interesting that he does not quote Calvin.) Malone also quotes 2 Peter as well, as an “aid” to understanding the possibility of poor Paedo-Baptist hermeneutics. If Hebrews talks about one who can be sanctified by the blood, then 2 Peter 2:1 can mean the same. But what exegesis is this? In dealing with the reference in 2 Peter 2:1 to false teachers “denying the Lord that bought them” Kuiper appeals to other Reformed scholars for the most plausible explanation: “These false teachers are described according to their profession and the judgment of charity. They gave themselves out as redeemed men, and were so accounted in the judgment of the Church while they abode in her communion.” Kuiper then adds, “ Hebrews 10:29 which speaks of the sure damnation of him who ‘hath counted the blood of the covenant wherewith he was sanctified, an unclean thing,’ must be interpreted in like fashion.” In Hebrews 10:29 and 2 Peter 2:1 the reference seems to be to what the apostates professed to have, rather than to what they had in fact: to argue from these Scriptures in favor of universal redemption appears out of keeping with the context, for the seriousness of this apostasy is due to the SPECIAL relationship which these men professed to Christ and the Holy Spirit. If it be claimed that the terms “bought” and “sanctified” refer to real benefits conferred rather than to external profession, great difficulties will arise with the doctrine of perseverance as well, which many hypothetical universalists are eager to maintain. The idea here is the difference between one that is unclean and one that is not. To understand this concept a study of the Old Testament concepts should be made. The first note Malone makes is that circumcision is the sign of the covenant – The Abrahamic Covenant. Well done. He then makes a note that the congregation in the wilderness was not circumcised. He is not sure why. The reason seems to point to the reality that those people were baptized into Moses – men, women, children and infants. (1 Cor. 10:2) Later, the children of those cut off were all circumcised before entering the Promised Land. In the New Testament circumcision was still practiced. This is actually devastating for Malone and for every non-Paedo Baptist, though he skips over it rather quickly. He says, “The New Testament attitude toward circumcision is one of strong opposition to its practice as a work for justification (Galatians 5:2). However, it still was practiced by many Jewish Christians out of respect for biblical tradition (Acts 21:20-21).” True, circumcision never availed salvation, though it availed covenant obligations, either blessing or curse depending upon obedience. But then he says, “it still was practiced by many Jewish Christians out of respect for biblical tradition (Acts 21:20-21).” Does he see the implications here? First, to say that it was out of “biblical tradition” is semantic nonsense. Biblical tradition? Does he mean Old Testament tradition? When was circumcision ever “tradition?’ To fail to circumcise was to enact death by God’s judgment (Exodus 4:23-24). How then does this apply to New Testament dealings? From pages 115-119 Malone attempts to discredit the passage of Acts 21 relating to Apostolic Sanction and thinks it is “profoundly unbiblical” to sanction circumcision along side Baptism. However, this is exactly what the passage teaches. Instead of exegeting the passage, Malone attempts to thrash another Federal Vision advocate (Douglas Wilson) who actually purports a correct view of Acts 21. What should we say about this passage? The Jews were upset. They thought Paul said they should not circumcise their infants. James and Paul deter that wrong sentiment, something Paul never said, or never said, or ever would say. (In Galatians Paul deals with the abuse of circumcision, not circumcision itself). And so James has Paul fulfill a vow for four men, Jews, who are zealous for the law. He demonstrates by word (James, and subsequently Paul’s affirmation of that word) and action (in his own acts) that he never said the Jews should ever stop circumcising their males. Acts 15 demonstrates the same thing. It did not say that Jews should stop circumcising, rather, it said that the Gentiles should not start. Baptism was enough for them. Paul had no problem standing up to Peter at all. We are not talking about a “wimpy Paul” here. If James had told him something he thought was theologically in error he would have never done it. We would have another apostle/apostle confrontation to read about. The fact is, Paul went right along with it and sanctioned it. Also, Acts 15 and Acts 21 deal quite importantly with the underlying question of church relations and membership, and in Acts 21 we have questions surrounding the Regulative Principle at stake, as well as apostolic sanction (positively I might add as Baptists like). It comes down to the impossibility of escaping the apostolic sanction of children included in the covenant (the Jews circumcising their males even at that time) and the Regulative Principle of worship, which James and Paul, by action and word, established for the Jewish Christian synagogue. No fancy footwork is going to change this. (And we only need one Scripture to overthrow the entire Baptist theses on the New Testament this way.) Even John MacArthur said this very same thing in the debate with RC Sproul – if infants are in the New Testament covenant, then Baptist Theology is over. This notion is is the crux of the question. Here we see that Acts 21 most definitely, in and of itself, puts an end to Baptist theology. The Apostles sanctioned infant inclusion in the New Testament. It’s not about “baptism” – its about infant inclusion and believing what God is saying about children. Next, Malone attempts to rid us of the need for the sacrament (?). He does this in two paragraphs. If baptism and circumcision are signs of the covenant then Malone’s point is voided. We have already discussed this and have seen that since they are both signs, and are both symbolic of regeneration, one by blood, one by water, there is little doubt as to their significance as sacraments and one is the fulfillment of the other. If circumcision is as Malone says, only a seal to “righteous faith” (quoting Romans 4:11), then why would God have an 8 day old infant take that sign? Malone then tackles Colossians 2:11-12 and unjustly separates the reality of the sign and seal to the participants. Christ makes circumcision in the heart. But that does not mean that Baptism is linked to that circumcision. How could a Baptist know this experimentally or practically? This would be impossible, as discussed before. Then Malone says that Baptism is a sign of regeneration – which is not true, and circumcision is the seal of regeneration. Unfortunately he has his wires crossed here. Circumcision is a sign of the covenant, (Gen. 17) which signifies heart circumcision (Deut 10:16 and Jer. 4:4). Christ fulfills this in His death. Jesus sends the Spirit who completes the regenerative circumcision on the heart as a result of His death for the elect (Ezekiel 11:19; 36:26; John 3:3ff). Baptism is a sign of the New Covenant, the Covenant of Grace that Christ fulfills – the Abrahamic Covenant (Luke 1:55; 1:73). It is a sign of the covenant made in Christ, and symbolizes washing and regeneration. Malone is overlapping and confusing the two signs. He seems to miss that Christ has fulfilled the bloody rite of circumcision in His death – which is why Paul detests the abuse of circumcision as equaling salvation. In all honesty, this chapter that Malone writes against Jeremias is a waste of ink. The reason: he only deals with Jeremias first work and sides with Aland, rather than taking up Jeremias’ second work that refutes Aland. Since Malone has not done his homework here and is arguing without having all the facts, I will simply resort to a couple of points about household baptisms. First, if Malone is right, and individualism replaces the “family”, then we ought not, in any capacity, see covenant language surrounding baptism anywhere in the New Testament. This, though, is exactly what we find. He first mentioned Acts 2 and makes only one mention of it on page 130, and then treats it after the household baptisms on pages 137-141. The summary of his argument is that “those that are afar off” mean that Gentile believers, and others afar off, will be called into the covenant and regenerated. The children, or the promise to the children is still dependent on Malone’s view of “those who had received his word.” In other words, even though Peter was talking to cognitive Jewish adults, the idea applies to children that later, when they are not children anymore (? – adults later) will hear the word and believe too. These men, from all over the land, were hearing the glory of God in their own language. They are Jews, scattered abroad because of exile, and since they have been captured and reprogrammed by the Roman oppression, they all have their own language from different areas. Remember, the people of Israel have been scattered all over. Here, together, we see the forming of God’s people being brought back into the fold. The text says, “Men of Israel…” Then Peter goes on, “But this is what was spoken by the prophet Joel: ‘And it shall come to pass in the last days, says God, That I will pour out My Spirit on all flesh; Your sons and your daughters shall prophesy, Your young men shall see visions, Your old men shall dream dreams. And on My menservants and on My maidservants I will pour out My Spirit in those days; And they shall prophesy. I will show wonders in heaven above And signs in the earth beneath: Blood and fire and vapor of smoke. The sun shall be turned into darkness, And the moon into blood, Before the coming of the great and awesome day of the LORD. And it shall come to pass That whoever calls on the name of the LORD Shall be saved.’“ Prophetic passages can be tricky. We should turn to Joel to see what Joel actually says. Joel 2:28-32, “And it shall come to pass afterward That I will pour out My Spirit on all flesh; Your sons and your daughters shall prophesy, Your old men shall dream dreams, Your young men shall see visions. And also on My menservants and on My maidservants I will pour out My Spirit in those days. “And I will show wonders in the heavens and in the earth: Blood and fire and pillars of smoke. The sun shall be turned into darkness, And the moon into blood, Before the coming of the great and awesome day of the LORD. And it shall come to pass That whoever calls on the name of the LORD Shall be saved. For in Mount Zion and in Jerusalem there shall be deliverance, As the LORD has said, Among the remnant whom the LORD calls.” What is different? Peter does not quote the last part of the verse 32. He leaves it off. Why? Let me ask another question first; who is this prophecy about? Gentiles? It says in Joel 2:27, in context, “Then you shall know that I am in the midst of Israel: I am the LORD your God And there is no other. My people shall never be put to shame.” This applies to Israel then. Peter is preaching to Jews. He quotes the fulfilled passage. Now might I ask, does this passage ring with covenant ideas or individualistic ideas? Are we talking about family here, or individual people? It says “sons and daughters.” Is there anything about menservants and the like? Yes – even menservants, maidservants, old men and young men. Sounds like everyone in the household is being covered here. Ok so far. Let’s see what else Peter says. He quotes David’s Psalm about Jesus when He is entombed. He will not see corruption. He did not see corruption. Jesus was raised from the dead. He directs this to whom? It says in Acts 2:36, “Therefore let all the house of Israel know assuredly that God has made this Jesus, whom you crucified, both Lord and Christ.” It is directed to Israel. Professor: Why should the house of Israel know this? I thought Peter, at this point, would at least have his theology straight and think that individuals should be addressed, not Israel. Baptists say that changes when Peter quotes verses 37-38, “Now when they heard this, they were cut to the heart, and said to Peter and the rest of the apostles, “Men and brethren, what shall we do?” Then Peter said to them, “Repent, and let every one of you be baptized in the name of Jesus Christ for the remission of sins; and you shall receive the gift of the Holy Spirit.” See, Peter says they have to repent, and then be baptized! The covenant seems to change. It is now individual. But we should ask a few simple questions, “Do you think Abraham needed to believe in the promises as an adult?” Yes. “After he believed did he tell Isaac that he needed to believe as well?” Yes. Did he circumcise Isaac before or after he explained that? Before. Abraham believed. Isaac was circumcised and later believed. Adults pricked in this way, seeing they are already adults, should repent and be baptized. Then the verse, “For the promise is to you and to your children, and to all who are afar off, as many as the Lord our God will call,” is different than Baptists would say. But Joel is the one who helps us with understanding this. Is this covenantal language or not? It is, very much so. What is Peter saying here? He is including the believers, and their children in the covenant. The promise is actually for them. But wait! It also says “and to all who are afar off, as many as the Lord our God will call.” Does that mean “everyone” else who will be saved? How could Peter be talking covenantally? Baptists often think that at this point the Paedo-Baptist argument falls apart because those who “are far off” are also the unsaved Gentiles who will come into the fold later. But we ask, “Does Peter believe that the Gentiles are included in the Covenant at this point in time?” the answer is No. That will not happen until Acts 10. Read the verse that Joel quoted but Peter left out earlier. “For in Mount Zion and in Jerusalem there shall be deliverance, As the LORD has said, Among the remnant whom the LORD calls.” Peter does actually quote this but later in his message. He leaves the phrase “whom the Lord calls” off until he “clinches” his argument with it about Jesus being raised from the dead. In other words, it looks as though he is “filling in the blanks” to Joel’s prophecy and adds a bit more commentary on what happened. He makes things more clear by doing this in his finely interlaced sermon. Then he says “as many as the Lord will call.” So Peter preaches to Jews and it is smothered in covenant language. Children are referenced, and “as many as the Lord calls” is referring to Jews. What Jews? Jews not present. Peter is preaching to the scattered people of God. God is calling the remnant back as Joel prophesied – His chosen people – people of the covenant. Yes, later, Gentiles are seen as those grafted in. Gentiles, according to Romans 11, are grafted into the same trunk that the Jewish branches were broken off. Malone, at this point, simply did not do his homework. Back to the households, the issue here is not whether infants are in the households. Whichever way a person would argue is relevant upon one simple point – the term “households” is not an individualistic term. It is covenantal term. Malone is so taken up in thinking that he can argue infants out of the “oikos” formula, that he forgets the formula itself, the term itself, is family oriented. This denies, completely his thesis. Luke, the precise historian, is very precise with his wording. That is why there is a slight variation at to the Greek phrasing in the Jailer’s home as there is in Lydia’s home which demonstrates some important differences. Malone does not seek any of this out. His most strained exegesis is the Jailer’s house in which “he believes” the whole house believed, though the text says that the jailer believed and the house rejoiced in his new faith, though they too were baptized. Ultimately, Malone rests on inductive reasoning for his conclusions and misses the covenant terminology of the family. We have discussed Joel and Acts – Malone completely misses the boat exegetically here. He says this is the best proof text that Infant Baptism likes to use. It is a tragedy that he completely befuddled his exegesis here and the text is quite solid for Paedo-Baptism and infant inclusion, and the continuation of the Abrahamic Covenant. What would the Jews have thought when Peter said to them “to you and your children and those afar off?” These were, in fact, Jews of the Diaspora! They would have immediately thought of Abraham, and God’s promise in Joel. 1 Corinthians 7:12-16 is the next verse. Again, we are not looking for Infant Baptism in the text, but we are wondering why God sees children as holy, or even husbands as sanctified? He takes to task G.I. Williamson. Why? Why not Calvin, Luther, Owen, Edwards, or someone with a bit more backing here? Anyway, in his typical style, he chooses Williamson. He does mention Ezra 10:2-3, which he should. Paul is making a case that one believer sanctifies the husband, and that the children are regarded as holy. He does not say how they are, but simply says they are. God sees these children as holy. Paul is attaching this to the Old Testament views of clean and unclean, as Malone points out. He says, “children are acceptable to God…” Really? Just a while ago, well, for 142 pages so far, he is telling us that only the regenerate in the Covenant of Grace are acceptable before God. How is it that children are “holy?” He says they are because their parent(s) are holy. Wait! Because of the parents, (Old Testament covenantal language) the children (Old Testament covenantal language) are holy (clean – Old Testament covenantal language.) Mr. Malone, help me out here. Why are you retracting everything you have said so far to demonstrate Old Testament covenantal language on children that are regarded as holy, but should be regarded as unclean? Malone says that the children are “holy” which means “set apart” and not “holy saints.” The word is used 544 times through the LXX and the New Testament as regarding “holy” and Malone attempts to discredit its use as “saints.” He says, “the same Greek word is also used sometimes as a noun in substantive form for “saints” or “holy one,” as Williamson claims, but when it is in noun form, it is usually prefaced by the article the, as in “the saints.”” If the word can mean saint, or holy, the point is not that we are trying to make the children out as “saints of God” but that the language used is not individualistic language but covenant language. Malone is so entrenched in fighting Williamson’s Paedo-Baptism, that he overlooks this verse and its contradiction to his “individualistic” thesis completely. The next verse he uses is 1 Corinthians 10:1-14 about the Israelites being baptized into the Red Sea. He says, “Paul is obviously speaking figuratively here, and one must be careful not to press in every detail a figurative passage.” Then he says, “such figurative language cannot overthrow clear New Testament instructions for a sacrament instituted by Christ.” This is interesting. First he says it is figurative – the idea of being baptized here. Is it? The cloud baptized the Israelites when they went through the Red Sea. How figurative was this? The men, women and children, including infants, and infants in the womb, were baptized when they went through the Red Sea. Why would Paul even bother using that kind of language figurative or not? Nor does this passage overthrow the New Testament teaching, or the Old Testament teaching on the sacrament of the covenant sign. Malone sounds a bit frustrated when he says, “Appealing to metaphorical and disputed passages to establish a sacrament and it practice is not hermeneutically sound.” Why not? These are no disputed passages. Acts 2, 1 Corinthians 7 and 10 are not disputed at all. Why say such a thing? They are though, devastatingly, covenantal passages that destroy the “individualism” that Malone would like to set upon in the New Testament. Malone cites the texts of the children being brought to Jesus and blessed. Malone’s “suggestive” ideas around the children “responding” to Jesus here is ludicrous. The verb used is “to offer”. Brephos – infants – little children 1-2 years old do not have the capacity to “offer themselves.” The parents brought the children and he did not want the offerings to be hindered – i.e. the children themselves, not the parents. The parents brought an offering of children, of infants, and Jesus wanted them. Malone says, “There is no promise to these children unless they come to Jesus and receive the kingdom as well.” Huh? Jesus said, “for to such belongs the Kingdom of Heaven.” The kingdom is possessed by them. Why would Malone say there is not promise to them? According to Acts 2 there are many promises to them! Malone’s use of the Greek here is selective. He summarizes his findings by saying this, “Several paedobaptist authors such as Matthew Poole, Warfield, and John Murray have agreed that there is no warrant for or an example of infant baptism in these passages on Jesus’ dealings with children.” This is true. But that is not what he should be looking for. He should be looking for covenantal language being overpowered by individualistic language and the eradication of all “children” blessings from the New Testament. Does he find this here? Malone believes John’s baptism and Jesus’ baptism are Christian baptisms. This chapter is so full of assumptions and no exegetical work on the texts, that I do not have much to say about it. Malone is simply not working with the text, but assuming everyone will simply agree with him. He has nothing to say about Meredith Kline and “By Oath Consigned” here, which is amazing since Kline destroys Malone’s faulty misconceptions out of hand. Chapter 10: The weight of precept, the argument of silence and the Regulative Principle of worship. Malone wonders why people have used the argument from silence to prove infant baptism. The answer is easy. Unless God has abrogated the practice of including infants in the New Covenant then the practice continues. Malone spends a whole chapter trying to disprove this. He tries this in three ways, 1) the weight of precept, 2) the more consistent argument of silence itself, and 3) the regulative principle of worship. First, Malone wants to list the positive commands for Paedo-Baptism and he finds none. When I look for a positive command to baptize a professing believer who I think is regenerate, in Malone’s language, I find “exactly zero.” Second, why do we need a positive command from the New Testament to ensure a godly sacrament? Malone says that we must have one in the New Testament because we are New Testament Christians. This is his Dispensationalism talking. The weight of precept is the mind of God as much as good and necessary inference is the mind of God. What exactly does “precept” mean for Malone? That he sees it clearly? That it seems straightforward to him? This is not an exegetical argument on a text that explains this. Next he deals with the argument from silence. He quotes Acts 15 believing that Paedo-Baptists say infant baptism can be found there. That is not the point of the passage at all. The point is that the Jews were not told to stop circumcising, and the Gentiles did not need to because their baptism was enough. Malone needs to deal with that aspect of the passage. Malone says that Paedo-Baptists use the same argumentation to support Infant Baptism as they do the Lord’s Day, but Malone thinks the Lord’s Day is clear. Funny. I have not found a Scripture that says the “Sabbath” “Switched” from the seventh day to the first day of the week. Thirdly, he deals fruitlessly with the Regulative Principle. Quoting the confession does not help because the confession on the Regulative Principle does not teach that you need a positive sanction in the New Testament to form a doctrine. This is true for both the 1689 Baptist Confession as well as the Westminster Confession of Faith. The 1689 Baptist Confession of Faith says, “The light of nature shews that there is a God, who hath lordship and sovereignty over all; is just, good and doth good unto all; and is therefore to be feared, loved, praised, called upon, trusted in, and served, with all the heart and all the soul, and with all the might. But the acceptable way of worshipping the true God, is instituted by Himself, and so limited by His own revealed will, that He may not be worshipped according to the imagination and devices of men, nor the suggestions of Satan, under any visible representations, or any other way not prescribed in the Holy Scriptures.” Malone quotes this himself. The italicized words, though do not discount good and necessary inference. Not at all. Whether it is prescribed by picking at the mind of God, or by the clear attestation of “Thou shalt not…” then it is still the will of God. I am personally surprised that Malone overrides his own Confession in this regard. There is really no need to say any more than this, where Malone takes this to extreme. He cuts off his own foot with his own Confession. Where does Malone find a positive, clear, explicit statement of believer’s baptism that says, “when a profession of faith is made by the regenerate disciple of Christ, after proving himself, he may be baptized in water by immersion?” Malone needs to concede that Credobaptism is built by an inductive collection of texts. Malone begins this chapter by the following, “One of the great pearls that shines as brightly as the rest, from the Paedobaptist perspective, is found in rhetorical questions such as: “If the Old Testament children were granted the covenant sign, in this New Covenant day of expanded blessing and fulfillment, shall we prohibit the covenant sign to believers’ children?” “Are our New Covenant children less blessed and privileged than Old Testament children?” “What happens to our infants who die in infancy?” These are good questions. Baptistic theology has no answers for children because children are not part of their agenda. Malone will attempt to tell us they are, and that parents should fulfill the commands to Christ in taking care of them, but in reality, Baptistic theology does not allow children into the covenant. For instance Baptists should not pray with their children. Why do they do this? This is an Old Testament principle that they are utilizing for New Covenant times. They conveniently forget this because of practicality. They know they should pray with their children and teach them to pray. Malone says that there is no unity among Paedo-Baptists with regard to Infant Baptism and its covenant promises to believer’s seed. Upon this note he is partially right depending on who one reads. Malone is selective, so do not expect much here. I do applaud him for tearing down the hyper-covenantalist view that thinks that Infant Baptism saves the child (Doug Wilson’s Federal Vision view). But this view is inconsistent with the rest of the Bible. Circumcision does not save. Paul vehemently wrote against this in Romans and Galatians. Baptism does not save. But like circumcision, baptism sets the curses or blessings on the person, whether they are 1, 5, or 50. They will either be blessed by the sign or cursed by it depending on their obedience. And we know only the regenerate will be obedient by Christ’s power. They will improve on it or they will be cursed for it. Malone simply denies the Scriptures here. He does not believe the promises are really for his children. In this, he is a covenant breaker. Isaiah 59:21 says, “As for me, this is my covenant with them, saith the LORD; My spirit that is upon thee, and my words which I have put in thy mouth, shall not depart out of thy mouth, nor out of the mouth of thy seed, nor out of the mouth of thy seed’s seed, saith the LORD, from henceforth and for ever.” Does he believe this? Mat 19:14 But Jesus said, Suffer the little children, and forbid them not, to come unto me: for to such belongeth the kingdom of heaven.” Does Malone believe this? By his own admission, no. In terms of having his children less privileged than the Paedo-Baptists Malone says, “I think not.” He is wrong. God was angry with Moses for not applying the covenant sign. Abraham was told to be sure to apply the sign of the covenant or else he would “break” the covenant. Why does Malone think the New Testament sign is any less significant when it is Christ that is being ignored in the fullness of the New Covenant refreshed? He even goes so far to assume that a non-covenanted child can partake of the “possible” blessing seen in 2 Samuel 12:23 when David said that “he would go to him.” Why would Malone tread back into the Old Testament to retrieve comfort from a Covenant Theological Scripture? He has already rejected this. This comes down to Malone’s own ideas here – if he needs a New Testament “clear instituted prescribed” practice for his children to be blessed, then he should look to the New Testament and try to dig up a non-covenantal argument from weary Dispensational theology. There are none. The children of believers are blessed based on the promises of the Old Testament fulfilled in the New Covenant in Christ, and are special to Christ when they are inducted into the covenant by reception of the sign. By his own admission, I am curious as to why Malone is even bothering with “rescuing” his children from the Paedo-Baptists admission of their non-covenantal status. Why does he feel the need to do this? Can’t he just say they are wicked little brats, and that God cares nothing for them since they are not regenerate (he hates them) and leave it at that? Why does he make a fuss? And it is not harsh to say these things since his own theology teaches it. It is what he is trying to prove! The Baptism of disciples ALONE. God cares nothing for His children. What reason does He have to care for them? On the other hand, the faithfulness of God for the promises made to believers and their seed give them every hope that God will be faithful to all those promises. What promises do Malone’s children have as children? Chapter 12: The Testimony of Tradition and the Historical Argument of Silence. Malone begins here by saying, “I have deliberately chosen tradition as the last pearl to add to the ring, simply because it should be the smallest. I fear that often it has been the largest. However, if the Scripture is our only rule of truth and practice, then the role of tradition must be only to clarify and corroborate what Scripture clearly sets forth. Marcel laments, “O the inconsistency of Protestants who wish to found baptism upon tradition or upon “the authority” of the Reformers.” We cannot allow the unified testimony of the greatest of Paedo-Baptist divines to overthrow our own consciences bound to Scripture alone, especially in regard to the sacraments supposedly instituted by Christ. Was this not the heart cry of the Reformation to begin with? To Paedobaptists, the two most attractive areas of tradition are the uncertain practice of Jewish proselyte baptism and the documented practice of the early church as testified by the Apostolic Fathers. In both of these testimonies, T. E. Watson and Paul K. Jewett have presented the most incisive summaries I have read.” Malone wants to be part of the Reformation. He wants to sound the continual heart cry of the old divines. Unfortunately, when you hold to dissenter and non-reformed aspects of theological ideas you simply cannot. We have gone over this before. Malone says that the best he has read on the Jewish proselytes and the early Fathers are Watson and Jewett. Jewett is better because he relies quite extensively on William Wall, as mentioned earlier in this paper. Why Malone did not read Wall is questionable. He is right though, all of the greatest theologians of the church have believed in Paedo-Baptism. This should cause Malone pause, as said before. When you disagree with the church, when you dissent from it, you must have solid grounds to do so, and convincing grounds to practice it. Malone has neither. Simply from the contradictions, the poor exegesis, the assumptions and the inductive logic shown so far, one would wonder why others who read this manuscript did not help him see these problems. And this is the best-written polemic in two hundred years? It is not necessary to comment on Malone’s use of the early fathers, the Didache, and the divines like J.W. Alexander. Jewett does a far better job in dealing with history, where Malone should have acquiesced to him entirely omitting this space for the chapter. There were no quotes from the early fathers, simply a reference from the Didache (the Didache does not mention election – so should we disbelieve that? No. Rather we should understand that the Didache was written for neophytes.) He does mention Alexander who says that Baptists can never perform a valid baptism since they cannot be sure the person is regenerate. This is true, though Malone simply says, “Such illogical and extreme statements by one of history’s most respected reformed leaders reveals the weakness of the Paedo-Baptist position.” The reasons he thinks this is because of Acts 2:41 which, for Malone, demonstrate the “professor’s baptism” in the New Testament. He does not consider whether this is a dry or wet baptism at all. Nor does he think through the implications of this, if he is right, being simply towards the Federal heads of families. Nor does he think through the prescription here – there is not one word of institution, but only of description of one historical event. Does this somehow make Alexander’s question, invalid? Will Malone produce the exegetical work to first prove this is not a dry baptism, or infilling of the Spirit, i.e. conversion, as well as proving that this Scripture annuls Paedo-Baptism? I am sure he cannot. Chapter 13: What Difference Does it Make? Malone wants “Reformed” Baptists to build “Reformed churches” that add to its “Solas” the “Baptism of Disciples alone.” I have already commented on this, but it seems amazing to me that in light of the Scriptures, and the historical trace of exegesis for ecclesiology, that the sectarian and dissenter movement continues to push away from the Reformation and the Reformed Theologians of our day do not rise up with their pens against them. Reformers do not burn dissenters at the stake (any longer) but they should be writing fervently against their poor exegetical work, and their misunderstandings about Covenant Theology. Malone calls for people to raise up Baptist churches, I would make a call to men to become “theological redwoods” so that would not happen, and we would attempt a unification of all the churches based on sound doctrine, not newly invented ideas. Unfortunately, with the theological degradation that is going on today, as Malone notes in Baptist churches, it will take a great move of God to unite us together. Malone has 4 appendices, which really amount to little after going through the book. His chapter on the “mode” of baptism is not convincing at all, although, I must say, it is where most of his “exegetical” work is seen on that issue. The others on Spurgeon and the mode of baptism, the book critique on the Biblical doctrine of infant Baptism by Marcel, and the appendix to the 1689 Baptist Confession of Faith are something the reader can peruse and think through themselves. I am certainly not implying that Paedo-Baptists and Baptists cannot be friends. I have many Baptist friends who know my position well, and respect me for some of it. Often, though, they do not like it when I remove their “Reformed” rug out from underneath them. In any case, there is always a spirit of charity and kindness when we are together. I will continue to rely on their friendship and we will continue to sharpen one another for the Kingdom of God. Malone xxviii – footnote 17. The Evangelical Theological Society. (1967;2002). Journal of the Evangelical Theological Society Volume 10 (Vol. 10, Page 193). Evangelical Theological Society. For a complete line of lectures on the subject go to www.christreformed.org. See Jonathan Edwards’ “The Perpetuity and change of the Sabbath in Four sermons” in his Works. He puts forth an entire sermon surrounding some of these ideas. I am being sarcastic here on purpose. There is ample evidence, in a string of pearls, to show how this works out and how the switch is made. But there is no one Scripture that says it.